Jason Momoa. Emerald City Comic Con 2017 . HD Wallpaper and background images in the Jason Momoa club tagged: photo joseph jason momoa khal drogo conan the barbarian stargate atlantis road to paloma frontier declan harp aquaman justice league. Jason Momoa: Hawaiian Holiday with Lisa Bonet! Jason Momoa & Lisa Bonet: Date Night at Eveleigh! Jason Momoa: Hoping for a Rom-Com! Jason Momoa: Shirtless Beach Six Pack! Nakoa-Wolf Momoa: Lisa Bonet's New Son! Jason Momoa: 'Conan the Barbarian' London Premiere! 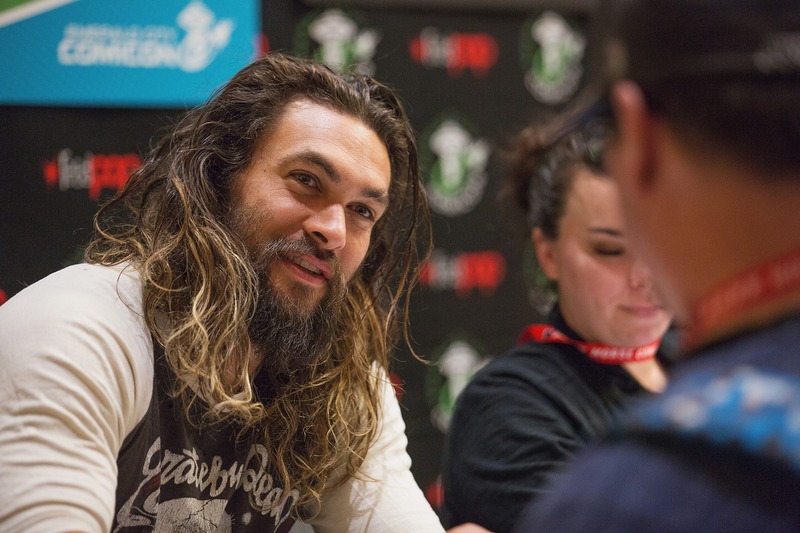 Jason Momoa: New York Comic Con with Rose McGowan! Jason Momoa's Backside Is Epic! Jason Momoa: 'Conan the Barbarian' Photo Call in Madrid! ok wheres my best friend?